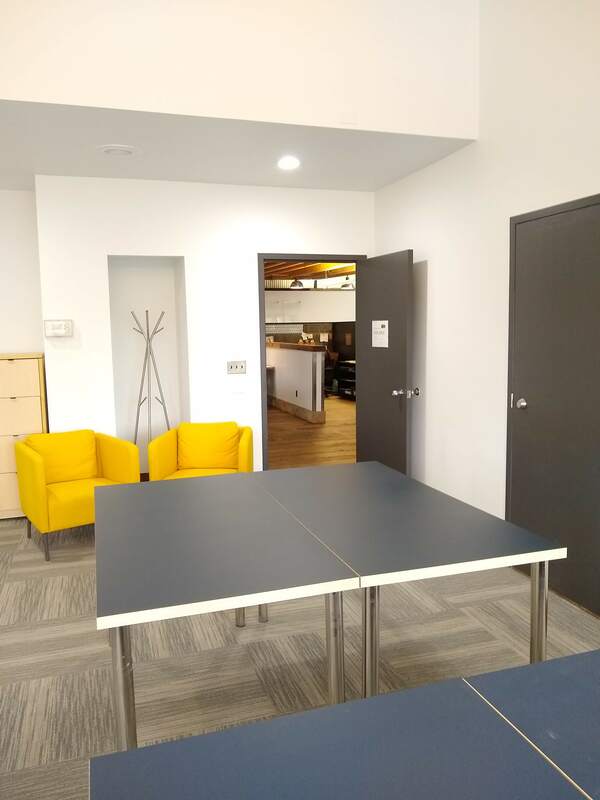 Memberships range from "coworking" (aka "hot desks") starting at $295 to dedicated desks starting at $395 to private offices starting at $995. All memberships are month to month and include 24/7 access to our beautiful space and full use of amenities like our life-saving latte machine, our wellness room, our rotating selection of beer, cider, and kombucha on tap, and, of course, the strong, supportive network that's built in to the space. Join our amazing community of go-getters! Call, email, or stop by for more info! Networking events, happy hours, classes and workshops, and space for you to host your own! 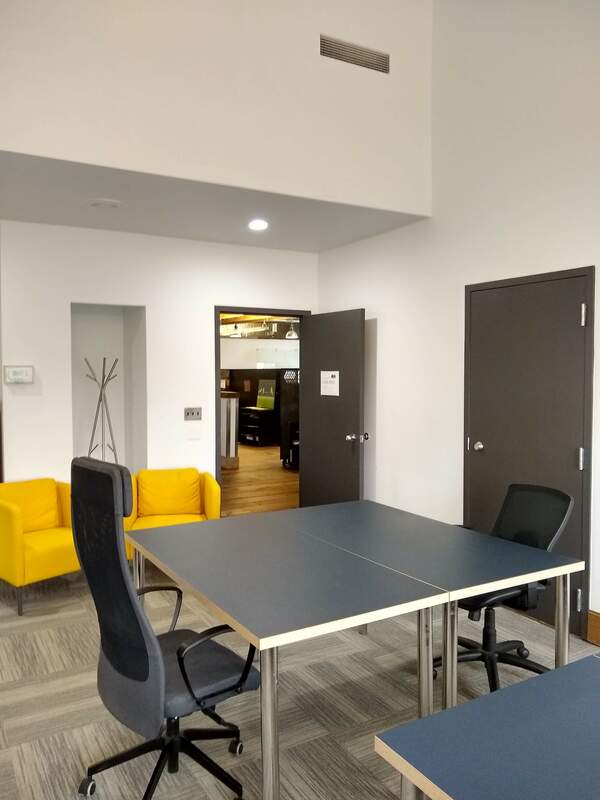 Coworking members can drop into a seat at one of our shared tables or common spaces. Choose between couches, standing height tables, or a standard community table. 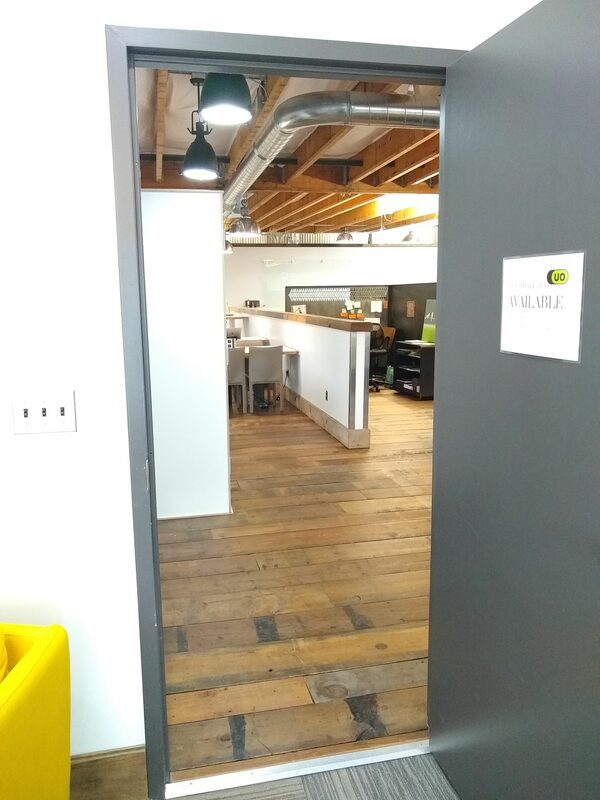 Coworking (sometimes called hot-desking) is our most flexible membership, and gives you the freedom to come and go as you need! And for even more flexibility, add a second user to your desk membership for only $100 more a month ($495 total). Branching out? This spacious corner office features natural lighting, tall ceilings, a private bathroom, and a modern feel. It's a perfect place for your amazing team to achieve even more amazing things this year. 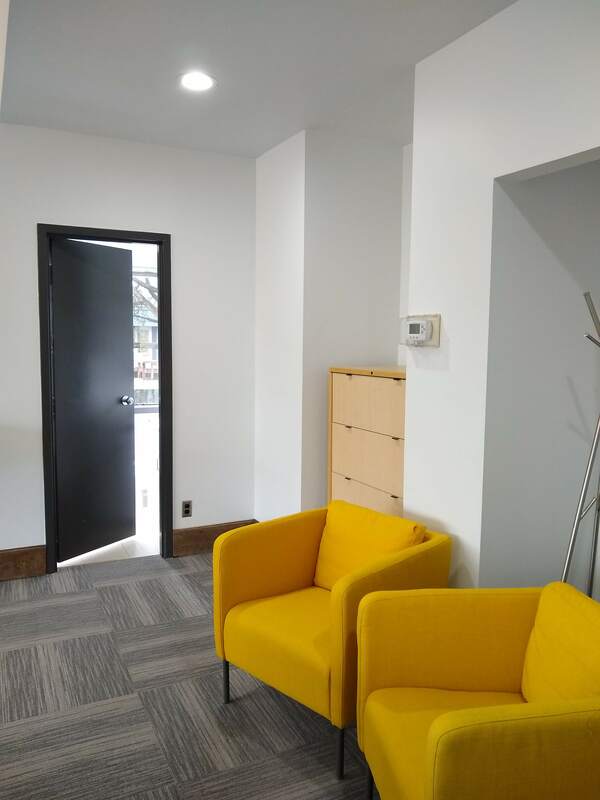 Our private offices come fully furnished and are customizable as well. 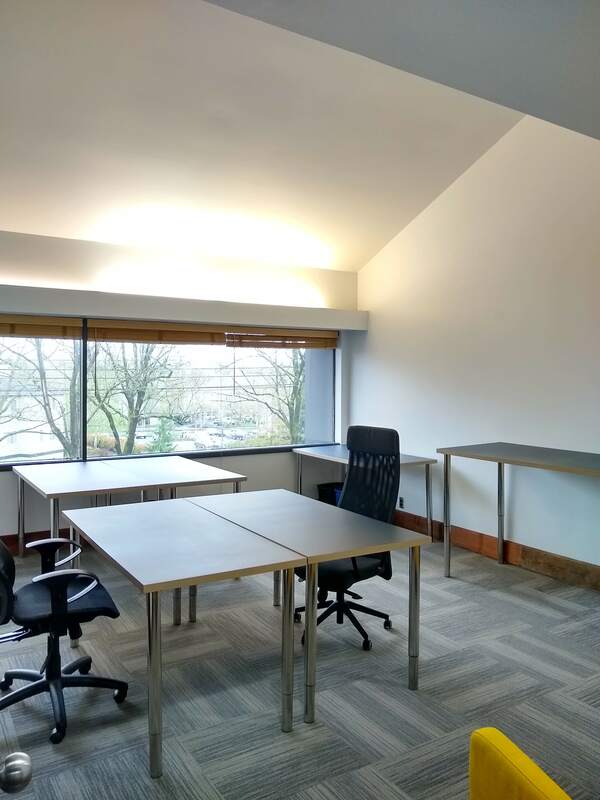 This office comes with up to 8 basic desks, and can support up to 12 users. (We realize you are out in the world making things happen and may have the flexibility to double-up on work space--so definitely feel free to do so.) This office is $2995/month and is month to month. First month + $2995 deposit are due on signing. Available now. Interested? Schedule a tour today! 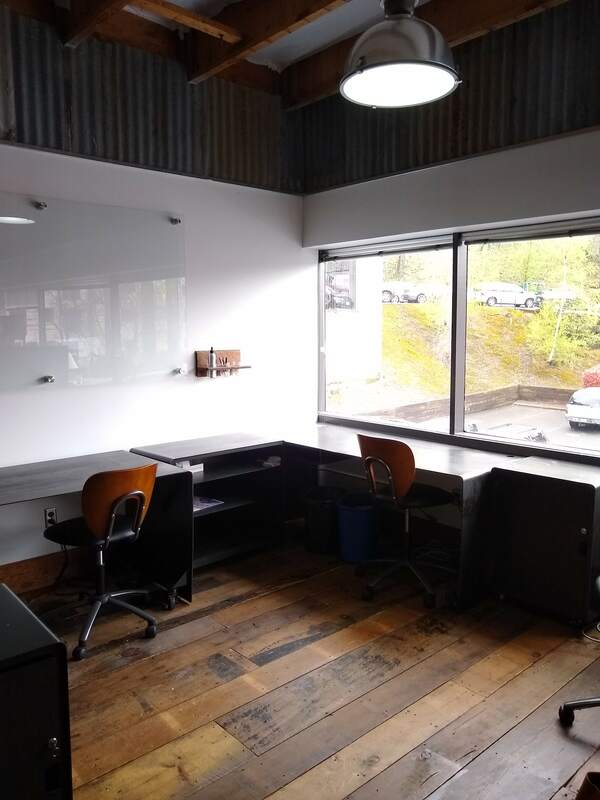 Our quietest corner office, with windows along the west wall, tall ceilings, and phone booths and the cozy UO bar right outside. An excellent spot to focus on the tasks at hand and achieve your goals. 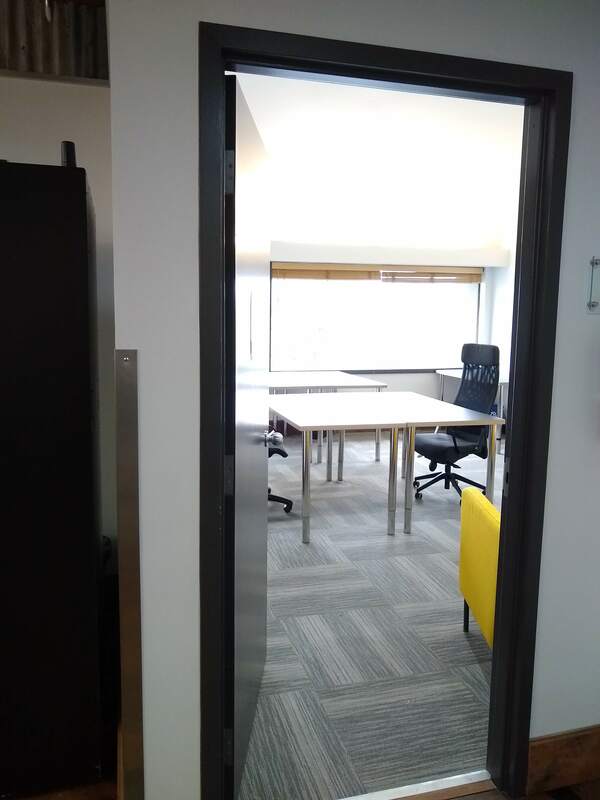 Our private offices come fully furnished and are customizable as well. 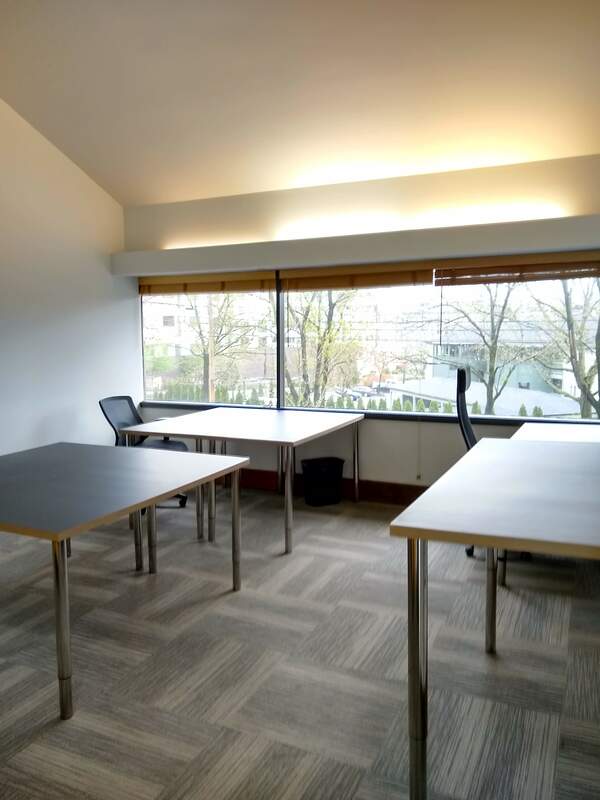 This office comes with 4 basic desks and can support up to 6 users. (We realize you are out in the world making things happen and may have the flexibility to double-up on work space--so definitely feel free to do so.) This office is $1995/month and is month to month. First month + $1995 deposit are due on signing. Available end of April. A perfect place to shine in your work while the sun shines on your workspace. $495 each; $895 for both. Come in for a tour and give them a test run with a free trial day!